My sister threw an animal hospital birthday for my niece, and I adapted her idea a little when my daughter was turning three. 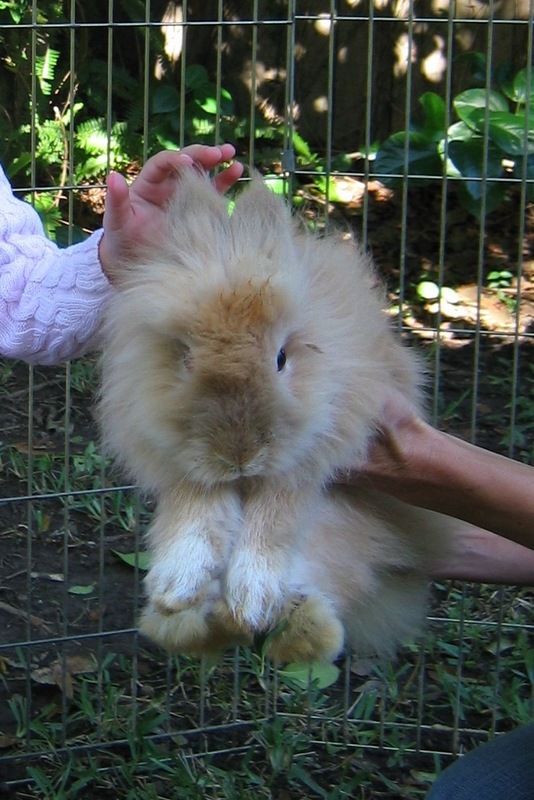 We lived in New Orleans at the time, and you can book a petting zoo there that will come to your house and set up a pen in your backyard with rabbits, turtles, goats, chickens, and few other small animals. 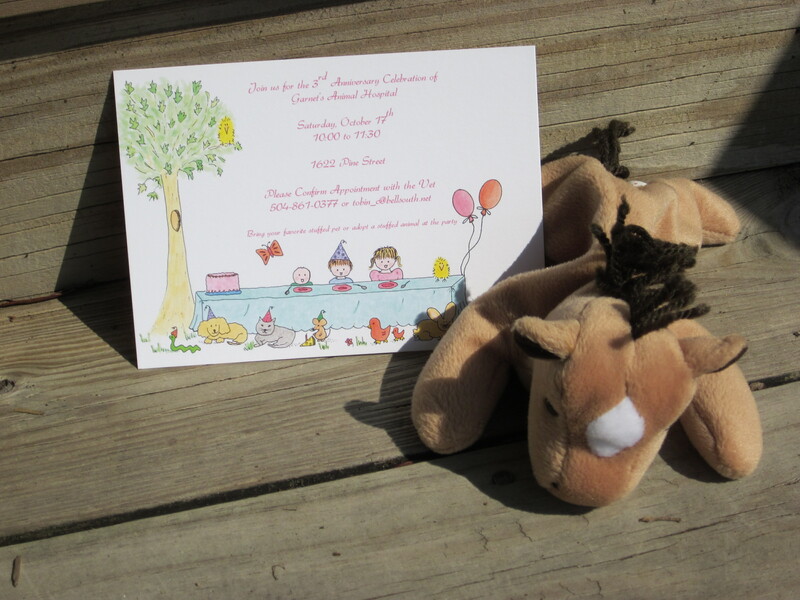 The Invitations: I like to order blank invitations from Fine Stationery. I think they have a huge selection of almost every party theme you need. I printed the invitations on my home printer and included phrases like, “Join us for the third anniversary celebration of (name’s) animal hospital” and “Please confirm appointment with the vet” for the RSVP line. Adopt a Pet: We placed enough Beanie Babies for all the guests in a pak-n-play by the entrance to the party. 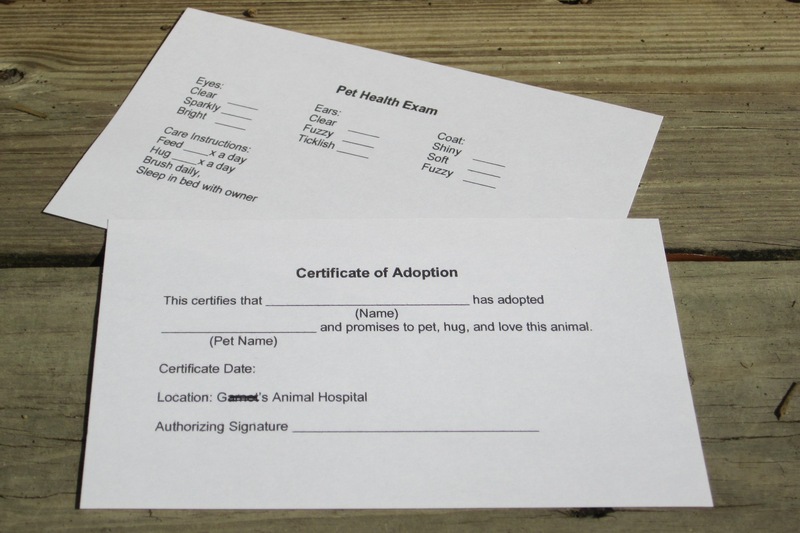 Guests picked one out of the crib and could take their new pet to the vet table for a health exam and adoption certificate. The Vet Table: One of our babysitters was a nursing student. She wore her scrubs to the party and completed health exams for everybody’s new pet. 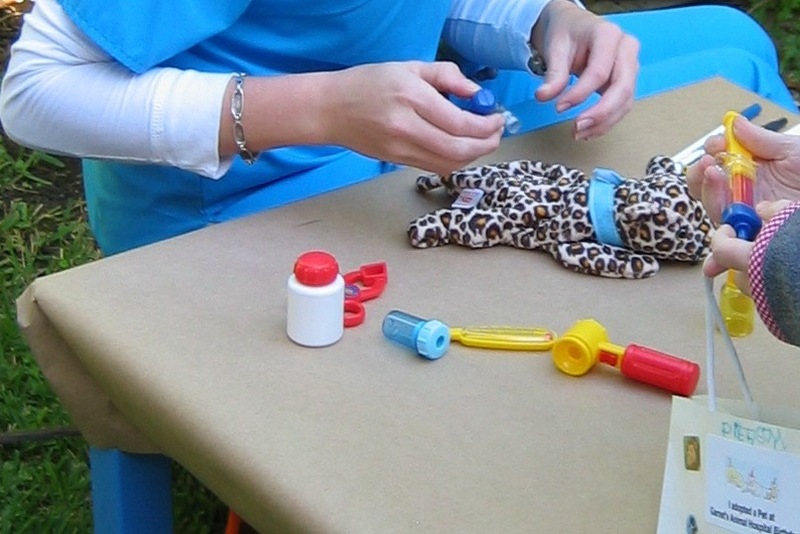 She used a play doctor’s kit and took temperatures, looked at eyes, examined the animal’s coat, listened to the heartbeat, etc. before filling out the forms. 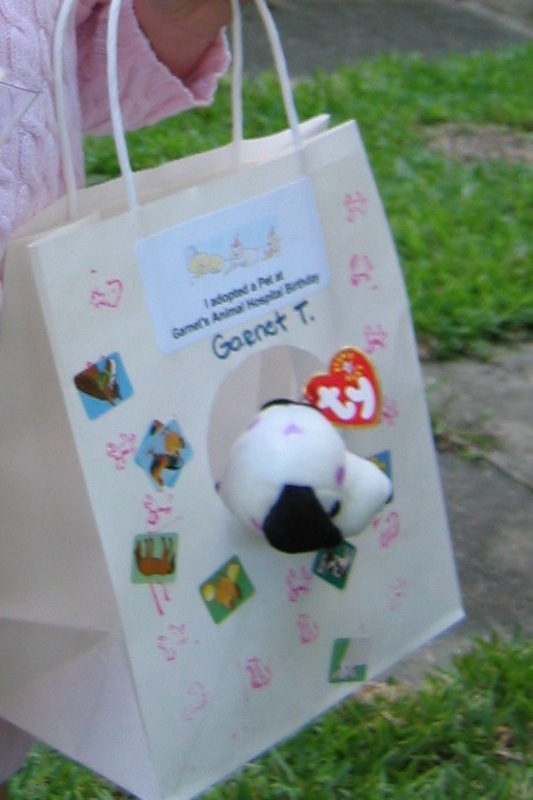 The Pet Carriers: At a table, we had white gift bags with handles that you could decorate with stamps, stickers, or markers. There was a circle cut out of the side of the bag, so the pet’s face could peek out. We put paper from our paper shredder at the bottom of the bags like that nesting material pet shops use. 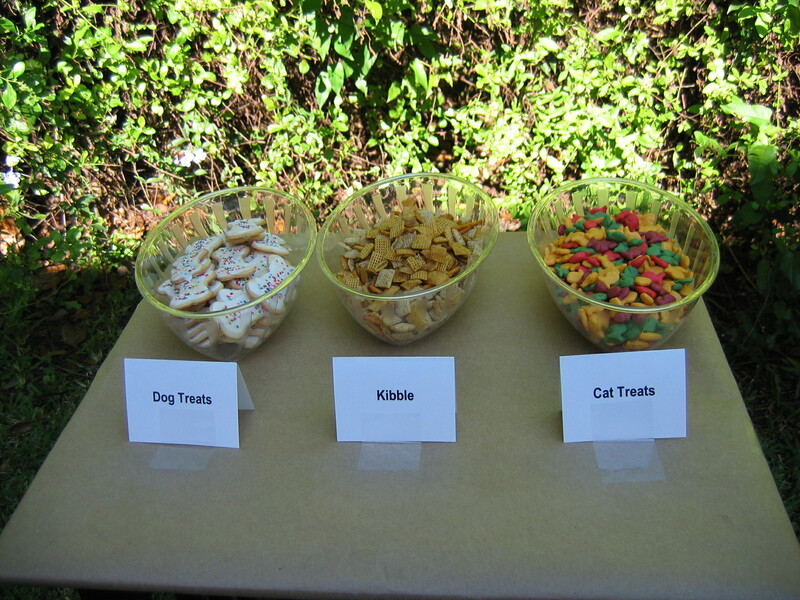 The Snacks: We filled bowls with bone shaped sugar cookies (dog food), Goldfish (cat food), and Chex mix (kibble).